Based on different categories, there are different types of hair extensions. In the framework of this post, we will discuss two categories which are material and applying method. 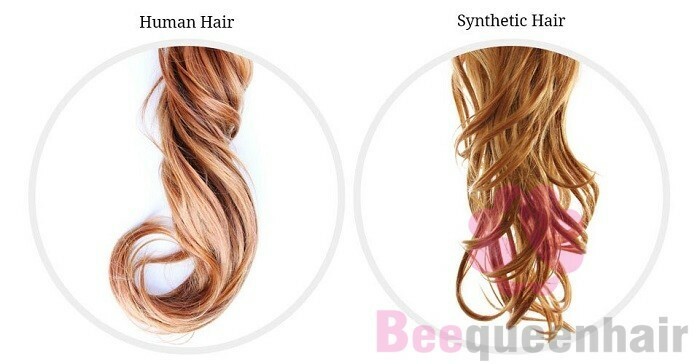 In terms of materials, hair extensions can be divided into two main types: human hair extensions and synthetic hair extensions. In terms of applying methods, hair extensions are diverse in types: clip-in hair extensions, tape-in hair extensions, fusion hair extensions, weave hair extensions, micro link hair extensions and so on. Let’s go on with the different types. Clip-in hair extensions: When it comes to clip-in hair extensions, you attach them to your hair via clips. – Advantage: You will find it easy to apply then remove them. 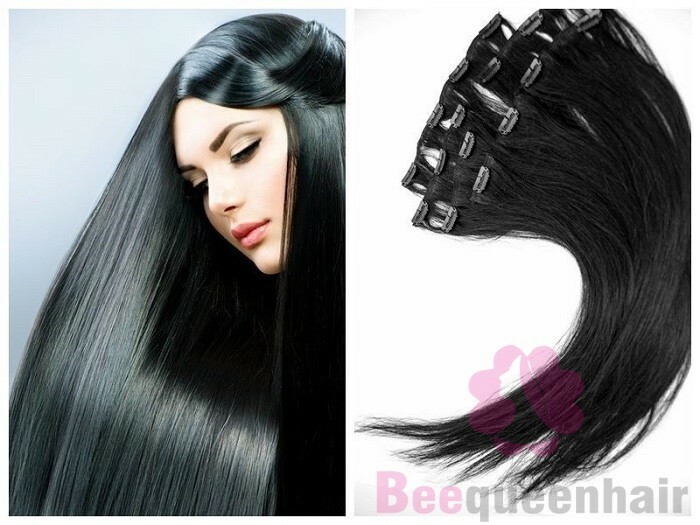 – Disadvantage: It is necessary to wash clip-in hair extensions every 15-20 wears. Tape-in hair extensions: Tape-in hair extensions are considered a kind of semi-permanent extensions which are pre-taped and then sandwiched on either side of your hair. 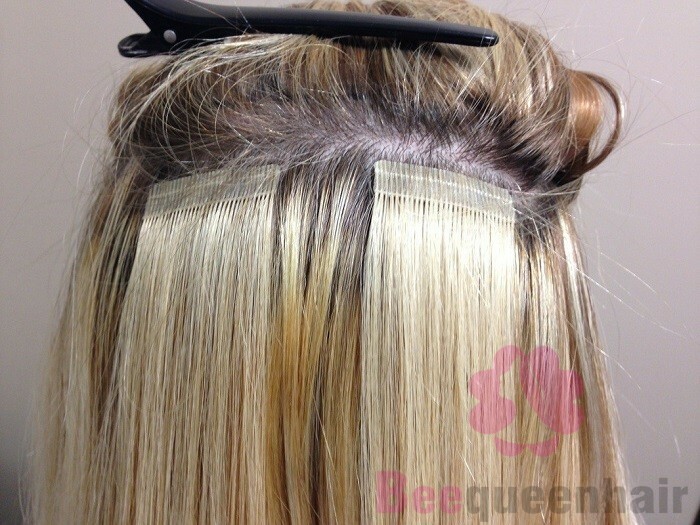 Tape-in hair extensions can last from 4-8 weeks before you need to reapply them. – Advantage: They are easy to put in and maintain. – Disadvantage: They are less flexible compared to other types of extensions. Weave hair extensions: Weave hair extensions can be also called sew-in hair extensions. The natural hair is braided into cornrows and then the extensions are sewn into these braids with a needle and thread. Weave hair extensions last about 8 weeks. – Advantage: The weave application gives the most seamless look. – Disadvantage: Weave hair extensions do not work well with thin hair because thin hair is not able to cover up the cornrows. Fusion hair extensions: Fusion hair extensions are also known as pre-bonded hair extensions. 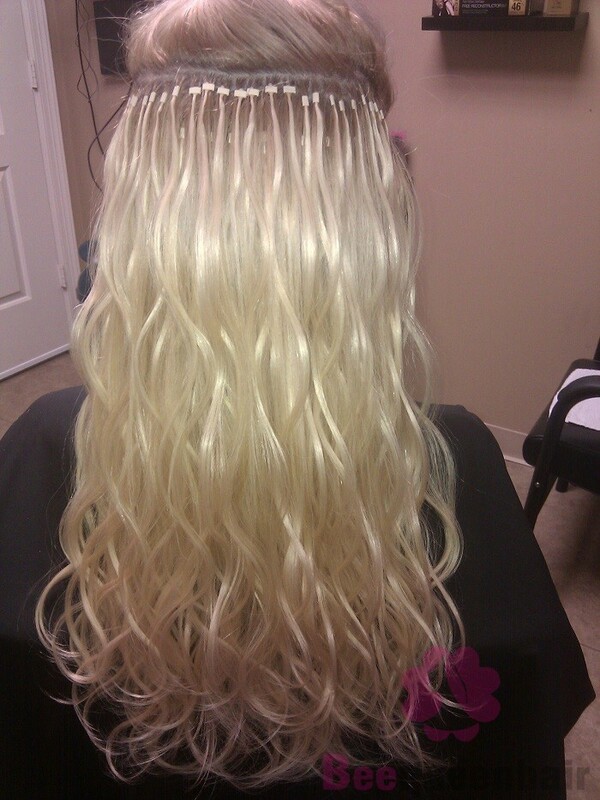 These extensions are bonded to the natural hair with adhesives such as glue. 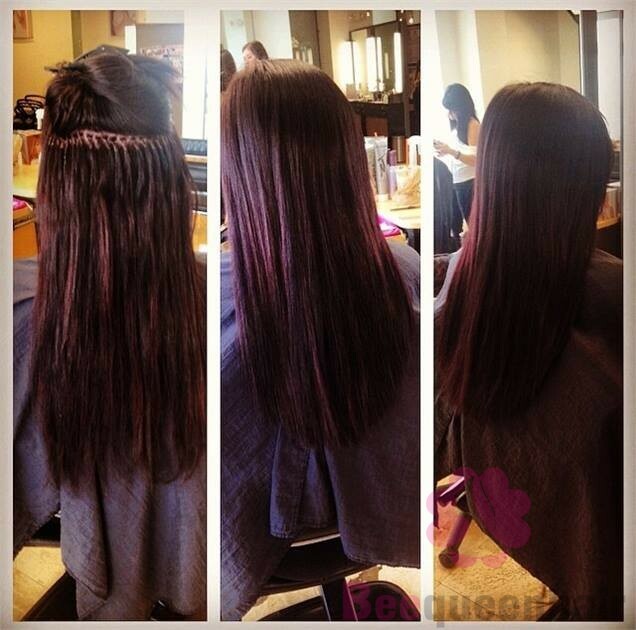 Fusion hair extensions can stay in your hair up to 6 months as long as they are cared the right way. – Advantage: They can provide the wearers with a natural look. – Disadvantage: This applying method is said to be one of the most damaging as it may lead to some problems like hair loss, hair breakage and scalp irritation. Micro link hair extensions: Micro bead hair extensions and loop hair extensions are two other ways to call micro link hair extensions. 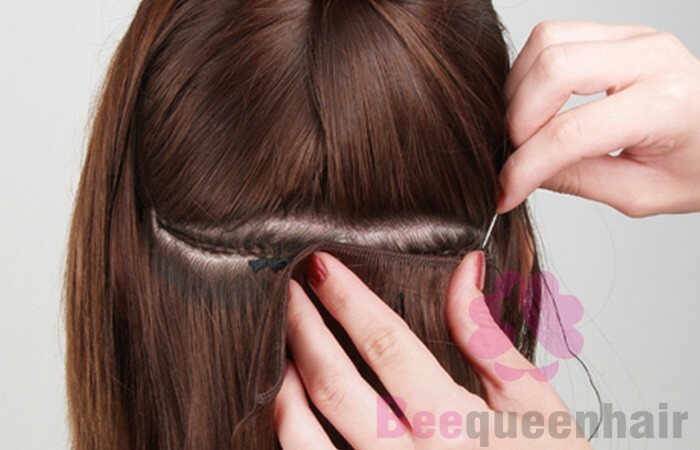 They are applied to your real hair by looping the hair through micro-cylinders which look like small beads. – Advantage: You are able to add highlighted extensions easily. – Disadvantage: The heat from the process of application can cause the hair to burn and break. We hope that this blog post can help to prevent you from being overwhelmed with the various types of hair extensions in case you are a novice. « What are some of the most common bad habits that make hair damaged?